Everybody has a favorite car, and for many, many Americans who came of age in the ’60s and ’70s that machine is the ubiquitous MGB. This honest, simple roadster introduced a generation of Americans to the sports car world. One of these enthusiasts is Bill Hiland. In the mid-’90s, Bill returned to the San Francisco Bay Area after a stint designing and racing sailboats in Australia. 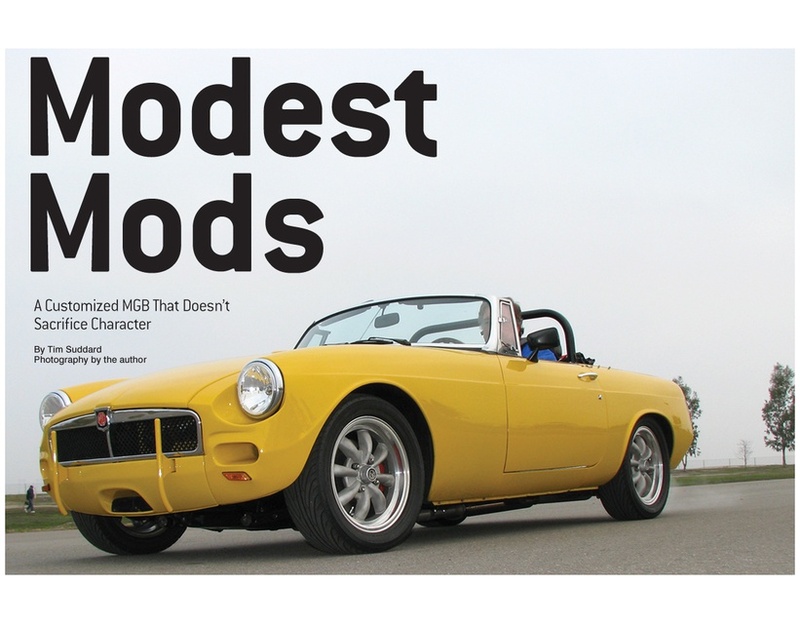 He needed some wheels and was taken in by the MGB’s style, rugged simplicity and promise of top-down fun. He picked up a 1978 model for use as a daily driver. As far as MGBs go, Bill’s particular car wasn’t anything too special. It wasn’t an early chrome-bumper example, and it wasn’t one of the illustrious cars produced in the model’s final year. It was a somewhat tired MGB that sported wire wheels and faded paint. Plus, one of its chrome headlight rings had been jettisoned. But Bill, like so many other owners of these later cars, saw its true beauty. His car looked good, offered open-air motoring, and got him from Point A to Point B. It served him well while he grew his new Silicon Valley semiconductor business. While the MGB wasn’t always trouble-free, Bill held onto it. And when he sold his computer business in 2007, he did the logical thing—at least from our perspective. Instead of trading the B for a Boxster or a Miata, Bill opened On the Road Again Classics, a company located in Morgan Hill, California, that’s dedicated to servicing, restoring and modifying MGs and other British cars.